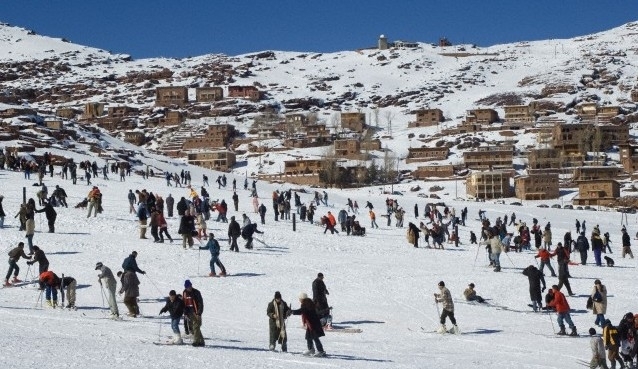 Morocco has ski track, largest in Africa: it is in Oukaïmeden, in the High Atlas, 75 km from the imperial city of Marrakech. You can enjoy a day in the nature: admire the snowy landscapes of the Atlas from the ski slopes Oukaimeden station. The station has 3 chair lifts, ski dream and a good range of local restaurants and to rent the ski equipment. The conditions for skiing were ideal. Beautiful sunny day with a good amount of snow. For a truly unique experience, when conditions allow, a great resort. Modern lifts with equipment for hire for a day out with a difference. Lovely spot at some 2600m altitude with fantastic Hotel de l’Angour (Chez Juju) which since . Food by chef Hossain (trained by the late Madame Juju and her French chef long ago) excellent. How to go? : private transport or buses from Marrakech.